Result : Comilla Victorians won by 25 runs. 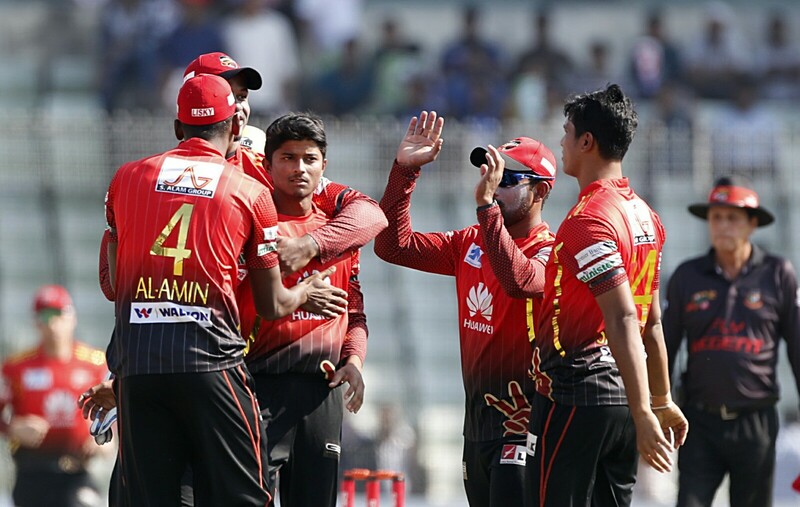 Comilla Victorians beat Sylhet Sixers by 25 runs in the 42nd match of AKS BPL 2017 Powered by Shah Cement at Sher-e-Bangla National Cricket Stadium (SBNCS). Batting first Comilla Victorians posted 170 for 4 in 20 overs thanks to fifties from Liton Kumar Das and Marlon Samuels. After losing 2 wickets for 37, Liton and Samuels added 83 runs in the third wicket partnership. Liton was dismissed after scoring 65 and Samuels scored 55. Nasir, Whiteley, Rabbi and Nabil shared 1 wicket each. In reply, Sylhet Sixers did not have ideal start after losing 2 wickets for 37 in 6.4 overs. Babar Azam and Sabbir Rahman tried but both got out after a good start. Comilla Victorians bowlers gave their side a comfortable victory by picking up wickets in regular succession. Sylhet managed to score 145 for 7 after 20 overs. Sabbir scored the highest knock of 31 off 20 balls. Graeme Cremer grabbed 3 wickets for 15.